Home > Blog > How Will the Working World of 2030 Differ from that of Today? Steam engines revolutionised the working world back in the late 18th century – first in England, and then in the rest of the world. This development kicked off the Industrial Age: Commercial production took a great leap forward, the mechanical production of goods ousted previously conventional ways of working, and people had to make radical adjustments accordingly. In turn, this gave rise to entirely new types of work, as well as new opportunities. Today, with the digital transformation, we once again find ourselves in the midst of a comparatively disruptive development, shaped by the widescale digitalisation of organisations, structures, processes, full networking, and the use of new technologies such as data analytics, machine learning, and artificial intelligence. This digital transformation is far more than just a technological advance – the way in which we live and work today will thoroughly change. It’s not for nothing that this shift is being referred to as the fourth Industrial Revolution. One of the key related questions is whether artificial intelligence will threaten job availability – will its use cause future generations to run out of work at some point? In other words: Where are we headed? What can young people who are about to enter the working world expect, and what do they themselves expect from their future careers? What capabilities will be needed in the future, and which ones will become obsolete? To learn more, we asked German secondary school and university students about their dreams and expectations. So-called ‘Generation Z,’ born starting in the mid-1990s, has grown up with smartphones, apps, and social media, loves technology, and knows how to use it. According to our study, 75 percent of Generation Z wants to make use of cutting-edge technologies at their workplace; what’s more, a third of survey-takers can even imagine pursuing careers in IT. Generally speaking, this generation is unafraid of AI and robots. On the contrary: These young people believe in strong partnership and cooperation between man and machine. For some, this concept may seem unlikely at first. After all, machines are already taking on highly demanding tasks today, ones that, until recently, were only entrusted with humans. That being said, I am firmly convinced that there is no cause for concern. 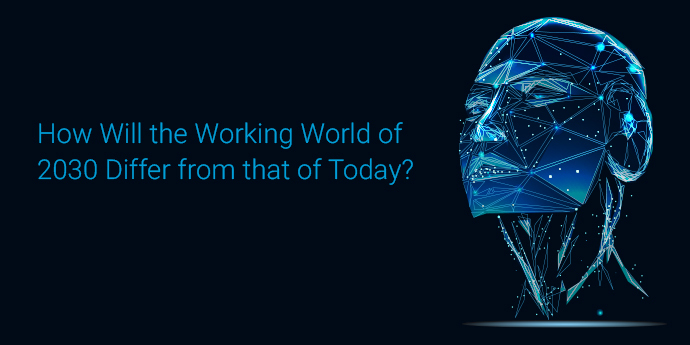 Although machines are already covering whole fields of work, entirely new areas of activity and careers will arise – and a significant amount of them, at that. An additional study carried out by Dell Technologies in cooperation with the Institute for the Future (IFTF), entitled ‘Realising 2030,’ supports this expectation; it predicts that 85 percent of all jobs that will exist in 2030 have not yet been ‘invented.’ This shows that we are not – as some may fear – on the brink of mass joblessness, but rather facing a disruptive shift in the working world, one which will cause people to take on tasks that are, as yet, wholly unknown. The nature of this shift – which, incidentally, is already in full swing – will cause the IT sector to take on a leading role. The key drivers of new IT jobs include the ones mentioned above – virtual and augmented reality, the Internet of Things, artificial intelligence, and robotics – to name just a few examples. Those who are well-versed in IT security, can design cloud architectures, or are able to analyse data are already winners on today’s IT job market. The IT sector is urgently searching for new talents, since digitalisation has long affected every company in one way or another. However, we still cannot say for sure where exactly this great disruption to the working world will occur, and how it will continue. What we do know for sure is that Industry 4.0 will increase the rate of change severalfold. That being said, we will be the ones to determine whether technological progress has a positive impact on our working world. Those who remain flexible, enjoy learning, and, above all, stay open to new things will be in demand on the job marketplace of tomorrow. As such, digital transformation is far from a threat; instead, it represents a source of previously unimagined opportunities. I’m certain of that – and I look forward to seeing the working world of 2030!